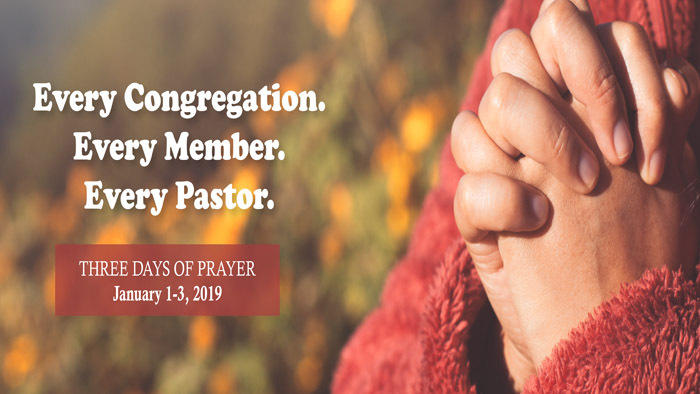 Every congregation, member and pastor is being invited to set aside some time each day of January 1, 2, and 3, 2019 for prayer. Day 1. January 1st 2019. Day 2. January 2nd 2019. Day 3. January 3rd 2019.